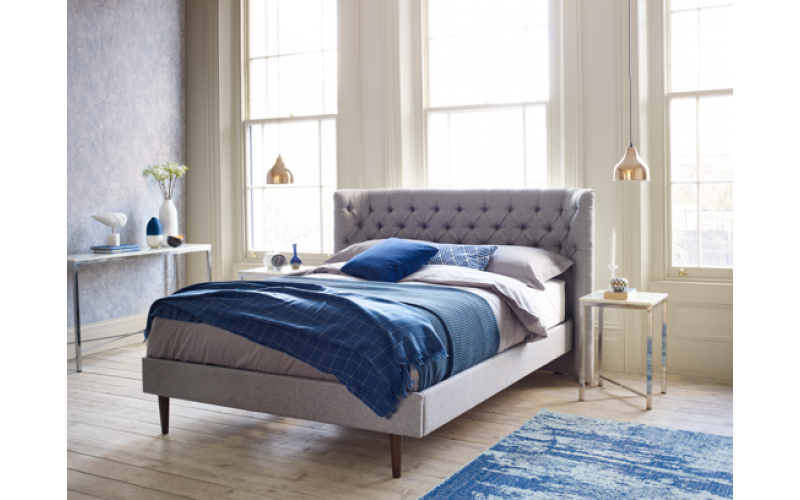 Bensons for Beds is offering one lucky winner the chance to win the stylish Harper bedframe designed by British designer, Sir Terence Conran. The winner can also enjoy an indulgent morning in their new bed with a luxury breakfast hamper. It’s time to put your feet up, sit back, relax and have some me-time! The Harper is designed to add sophistication to any bedroom – the grand button headboard has tall curved sides which have been designed to surround the sleeper in a cosy cocoon, whilst creating a luxury and elegant finish. Harper is available in a mixture of both neutral and statement colours to blend seamlessly into the overall design of your bedroom: Dove Grey, Natural, Silver, Pewter, Blush and Teal.